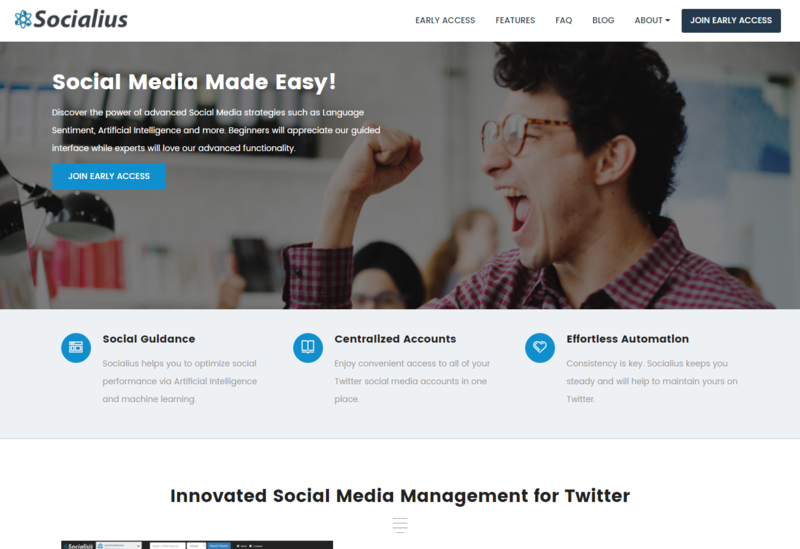 Socialius is a helpful platform for social media (Twitter) beginners to experts. Our platform excels at optimizing your social performance via guidance, artificial intelligence and a sprinkle of machine learning. Understand what your audience means via language sentiment. 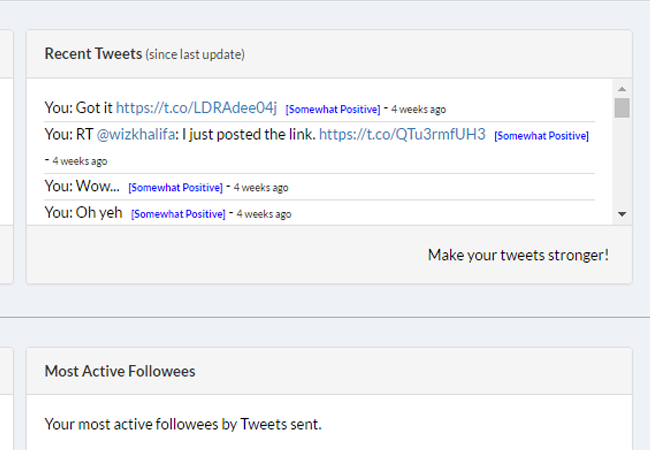 Remain updated on your Twitter accounts via beautiful charts, data and alerts. 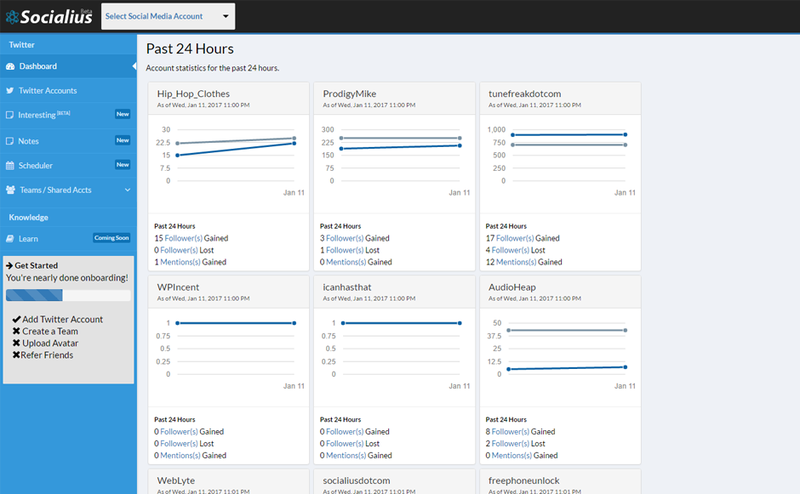 Save time and boost efficiency by simplifying decisions such as which users to target or what metric to focus on. 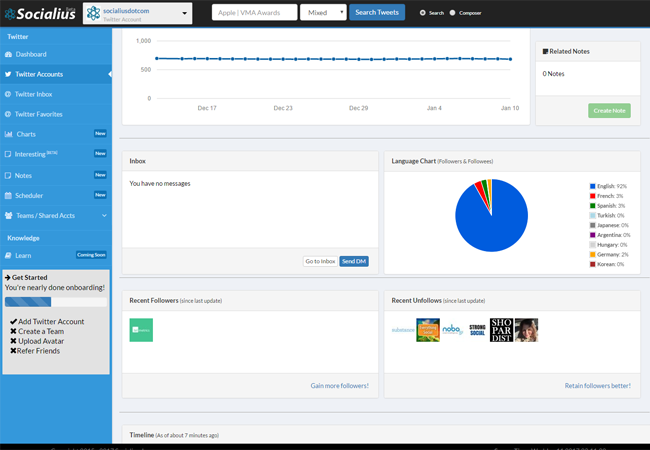 Work collaboratively and share accounts via our teams functionality. 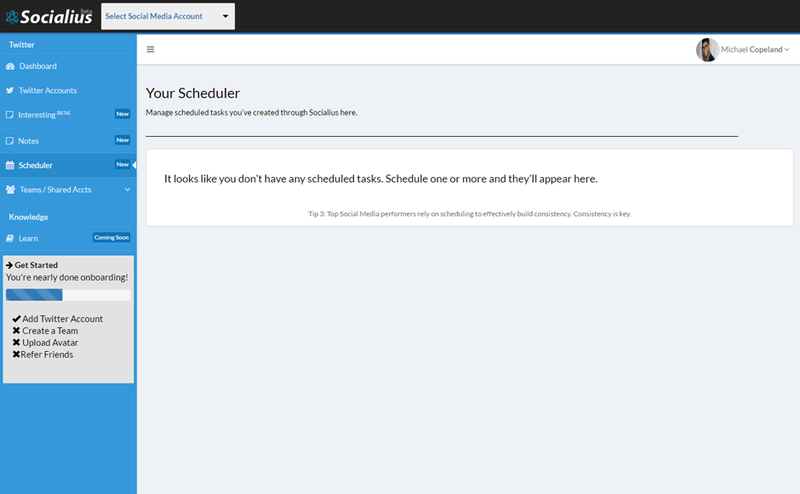 Build credibility and consistency by utilizing our automation and advanced scheduling. 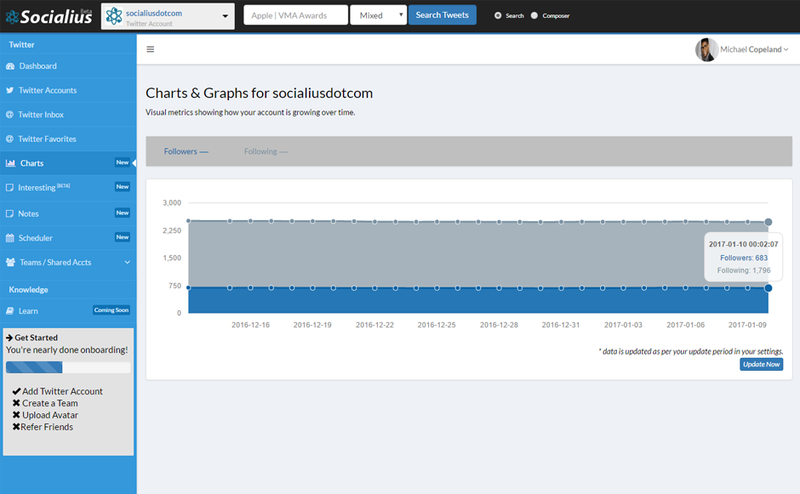 Currently working for Twitter, Socialius will help you to optimize and discover your best social media strategy.